Mike Shinoda has stepped out on his own. The Linkin Park co-founder is readying the final leg of his tour for “Post Traumatic,” the solo album he released last year in the aftermath of friend and bandmate Chester Bennington’s suicide in July 2017. Mike spoke with Access at the Mastercard Sensory Lab opening at Fred Segal Sunset in Los Angeles on Thursday night about the emotional upheaval he faced while putting the project together, and why it’s been such a powerful experience to share with fans who have grieved right along with him. Mike went on to share that despite not always pursuing artistic endeavors with an audience in mind, he soon understood that he was creating something that wasn’t just cathartic for him. “After I made a few of these songs, I was making them very quickly and I realized that not only would they answer a lot of the questions that people had – namely, ‘How are you doing?’ – but I also thought that putting these songs out there could potentially help some other people who are going through a similar thing,” he explained. 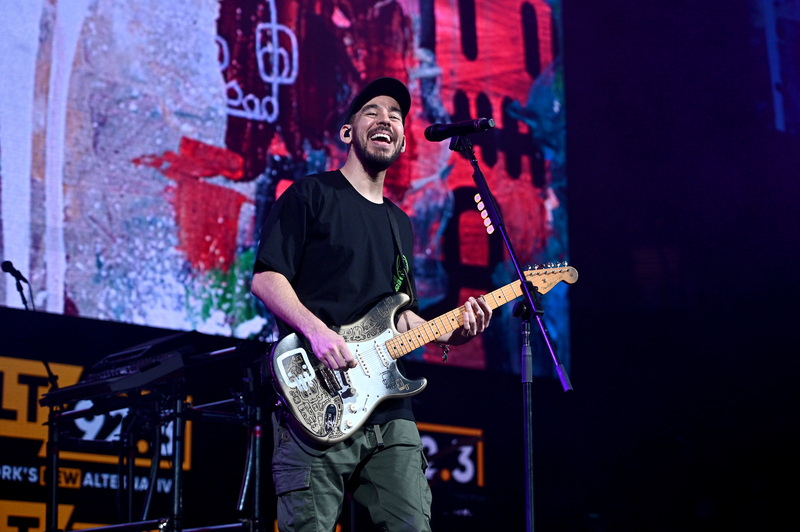 Mike recalled that it took about nine months for the album to come together, and that it felt right to put his stamp on it in the most direct way possible. 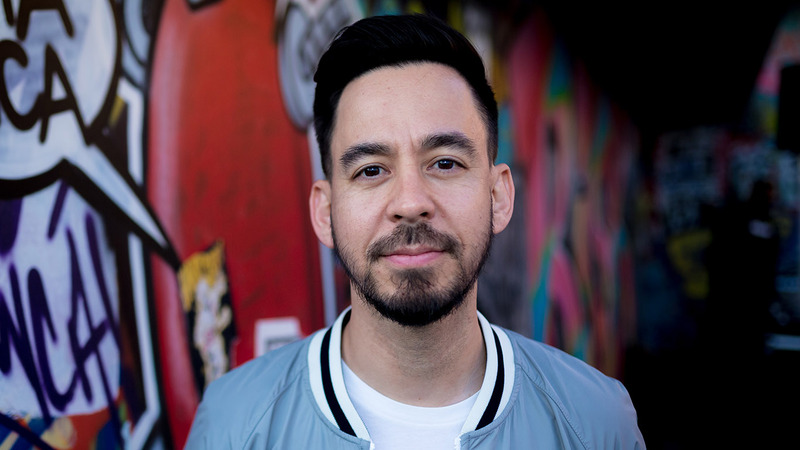 The Grammy winner has previously released solo efforts under the side project Fort Minor, but the decision to use his own name for “Post Traumatic” – a first for Mike – simply made the most sense considering its content and backstory. “It’s a very personal record, and I thought the most personal … the way to indicate how personal it is would be to just put my name on it,” he told Access. Many of the songs evoke a stream-of-consciousness sense similar to journal entries, and listening is not unlike paging through an old diary. The 41-year-old shared how his perception of the music has evolved from the time he wrote it until now, and what he’s learned about his progress as more time passes since Chester’s loss. Next month, the artist will embark across Europe for a last round of live shows for “Post Traumatic,” a trip he said is ultimately the “end of the cycle” on this project. Although he’ll be wrapping a pivotal new chapter in his career, Mike is confident that it laid a solid foundation. “I feel like it really served its purpose,” he said of the album. Those fortunate enough to have seen a live “Post Traumatic” tour performance would likely agree. Mike translated the album’s of-the-moment structure into the live shows, often changing the set list and improvising on the spot after gauging the energy in the venue. “It’s about this community of people that have been brought together around the music. It’s a part of their lives. They’ve lived with it and the connection with each other because of it is bigger than any of us,” Mike said, adding that the progressively “hopeful” tone of “Post Traumatic” is something he hopes listeners can relate to as they navigate their own trauma or personal turmoil. That global outlook pertains to Mike’s newest efforts, including the launch of Mastercard’s new sonic brand Mastercard Melody, which connects consumers through a familiar sound that emanates during any engagement with the brand. Mike was enlisted to help put together an accessible and adaptable melody that transcended culture, and he explained how experimenting with the track on different instruments made its universal appeal become clear. Being mindful of the message and reach of his work is something Mike embraced on a new level with “Post Traumatic,” telling Access that the “freeing” sense of complete autonomy was something he hadn’t really experienced before as part of a band for more than 20 years. 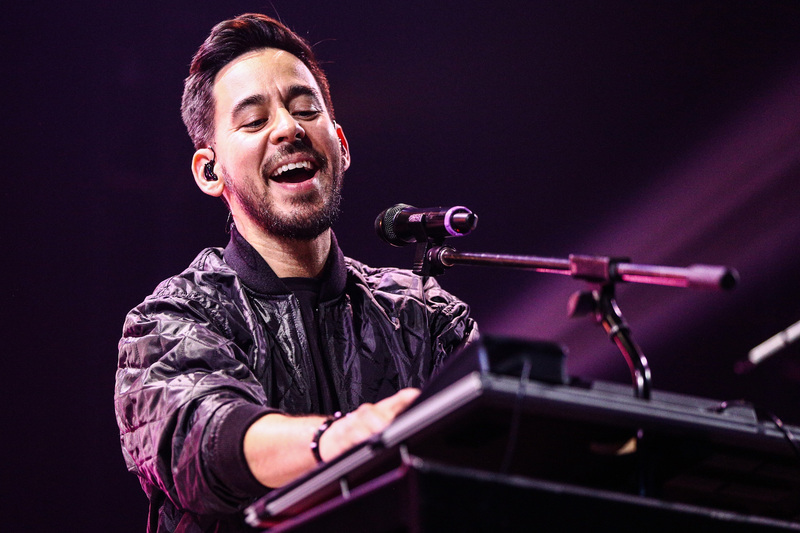 As for what’s next, Mike teased that any upcoming music is “probably a secret” until he’s ready to share it, but the lasting impact of “Post Traumatic” also speaks to his creative pursuits going forward. “On a human level, this is just my story this is who I am. It’s a chapter in this thing and I intend for the story to keep going. So, I don’t know where it leads and I’m at a point right now where I don’t want to even be making long, long-term plans. I’m enjoying making short-term plans,” he smiled.